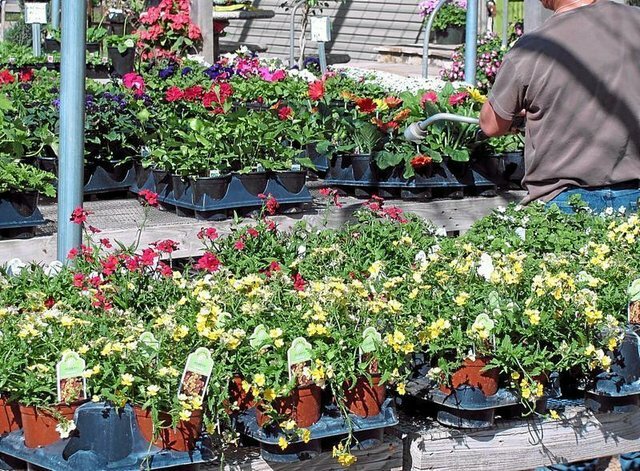 Gardeners can sometimes have an uncontrollable urge to rush out and purchase plants for spring planting as soon as they are available at garden centers. Plan your design first and then plant them before they become stressed due to not being planted and tended to. 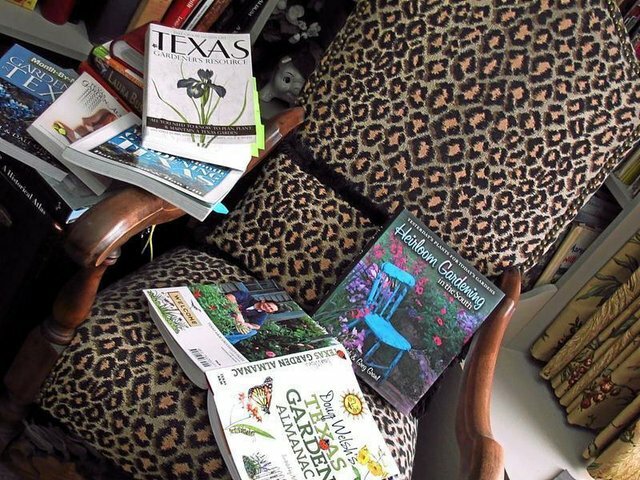 Numerous books and magazines are available as excellent resources for good gardening practices in Texas. Highly recommended is "Texas Garden Almanac" by Doug Welsh shown here. Also, Texas Gardener magazine, edited and published by Chris S. Corby, is a Texas-written monthly publication all about gardening in Texas. Frank Hurta, 57, at the time of this photograph, together with his and wife, D'Ann Hurta's grandson, Jordan Hurta, share in the experience of a first potato crop together. Jordan obtained helpful knowledge from his grandfather that has stayed with him through his current enrollment at Texas A&M University. Editor's note: Today's article is the second publication of a new series that provides seasonal gardening tips from the Victoria County Master Gardeners. Gardeners are totally optimistic. With spring having officially begun a couple of weeks ago in late March and as the ground begins to warm and beautiful flats of plants arrive by the truckloads, the uncontrollable urge is to rush out and purchase them. Many of us just can't resist such an impulse buy, only to be saddened when the plants "stress out" as preparations are being made to plant them. Do your armchair planning first. Take a walk through the Master Gardener Victoria Educational Gardens at Victoria Regional Airport or through several commercial garden centers and take notes on the plants which spark your interest. Plan and prepare your beds well, and at the end of the season your garden will "look back at you with love." Plan your design early whether you are going to grow vegetables, landscape plants or ornamentals. Look at existing beds and evaluate their success or failure. Consider three use areas around your home. These are commonly referred to as public, private and service areas. Determine plants to be used. Decide which plants will work well according to the needs of the plants and not your opinion of, "Yep, that will look good." Study the scale, balance, unity and harmony of the plants being considered. Most garden centers are willing to look at your plan and make suggestions. 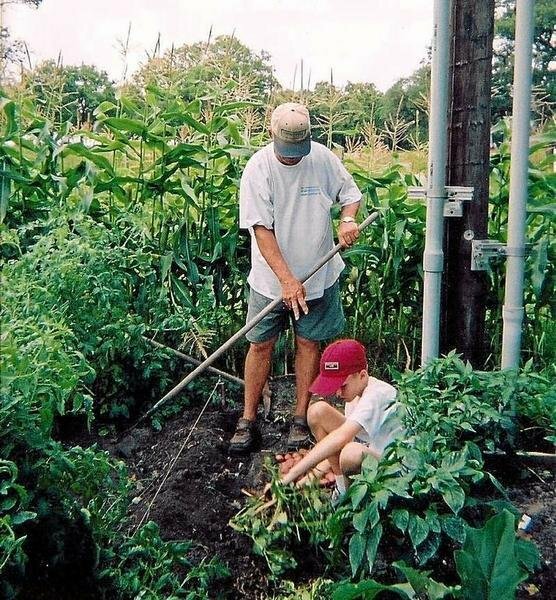 Involve children to perpetuate gardening. Don't forget to involve children in this process and to integrate special areas for them to practice and learn horticultural skills. "Within each seed there is life," and most children have the desire to watch things grow and produce. Imagine your landscape or garden areas as your blank palette. Garden areas around your home should express your interests, personality and, like your family, bring you joy. Gardeners, get out of your easy chair even if you are a little late in doing so, and prepare your beds to mimic Mother Nature. Adding 5 to 6 inches of organic material or mulch is an investment that will pay off and contribute to your utmost success. Organic material adds nutrients to the soil, while mulch helps reduce the extreme fluctuation of soil temperature and moisture levels, control weeds and enhance soil structure and nutrients. If you have a zone/area which has not responded in the past to your care, consider having the soil in that particular site tested. Sending a soil sample to the Texas A&M Soil Testing Lab will provide you with a complete soil analysis. Soil sample bags and directions can be picked up at the AgriLife Extension Office. There is a fee for this testing, but it is well worth the expense compared to a costly trial-and-error method to achieve good plant growth. It's all about healthy, fertile soil. Water is an extremely important factor to consider. With several years of drought behind us, our soils have lost a lot of deep moisture needed to sustain plant growth. If you already have an automatic irrigation system in place, check to see if maintenance is needed or required. Strive for water effectiveness by setting the timers and zones at maximum efficiency. If you do not have a system now, consider installing a drip system. Drip systems control the application of water at a low flow over a prolonged period benefiting plants by providing a constant level of moisture around them. This also discourages some plant diseases. Several different types of drip systems are available in local garden centers and work well in conjunction with water retrieval systems. Successful gardening is a reflection of the gardener's growth, understanding, and research. Even seasoned veterans experience success mixed with failure. Consider your time and energy. Plant care takes time and energy so consider your time schedule in the planning process. It can be a huge factor contributing to your success. Several beautiful container plants are more pleasing to look at than a bed needing hours of work you do not have time to care for. Removing disease-infested plant parts, dead-heading blooming plants and checking for insects before they get out of control is crucial. Use as many natural control methods as possible. Nemesis fire ants are usually foraging when temperatures are between 70-90 degrees, so spring is a good time to treat mounds with bait. There are many excellent resources, books and magazines available for Texas gardeners to use as success guides. We are fortunate to live in an area with 302 freeze-free days, so get gardening. If you follow these suggestions, your garden will surely look back at you with similar love to that which you gave it. For the love of gardening is a seed that once sown never dies, but always grows to an enduring and an ever increasing source of happines. Garden design: Grow an "eclectic playhouse." Involve children through a "living tepee." • Place six to eight poles in a circle and tie on top to form a tepee frame. • Watch them grow with proper care into a living playhouse. Soil and mulch: "It's virtually impossible to add too much organic material to Texas soils." • Lots of planting means lots of soil preparation. • For best results, stick to adding only organic matter. Irrigation: Water needs vary greatly in our area. • Best setting on the irrigation time clock is off. • Water when plants need it. • Water and money are wasted with same irrigation schedule for all seasons. Plant care: Use pesticides only when truly needed. • Look for insect damage. • Watch for top five insect pests in the garden: aphids, spider mites, caterpillars, thrips and grasshoppers. • Protect natural predators and parasites against overuse of pesticides. • WHERE: Pattie Dodson Health Center, 2805 N. Navarro St.
• "Preserving the Harvest" will be presented by Erika Bochat, Victoria County Extension Agent-Family and Consumer Sciences. • Bring your lunch and drink.